referenced from a photo found online. Each banana has it's own hierarchy of tone and saturation within the hue that makes it up. 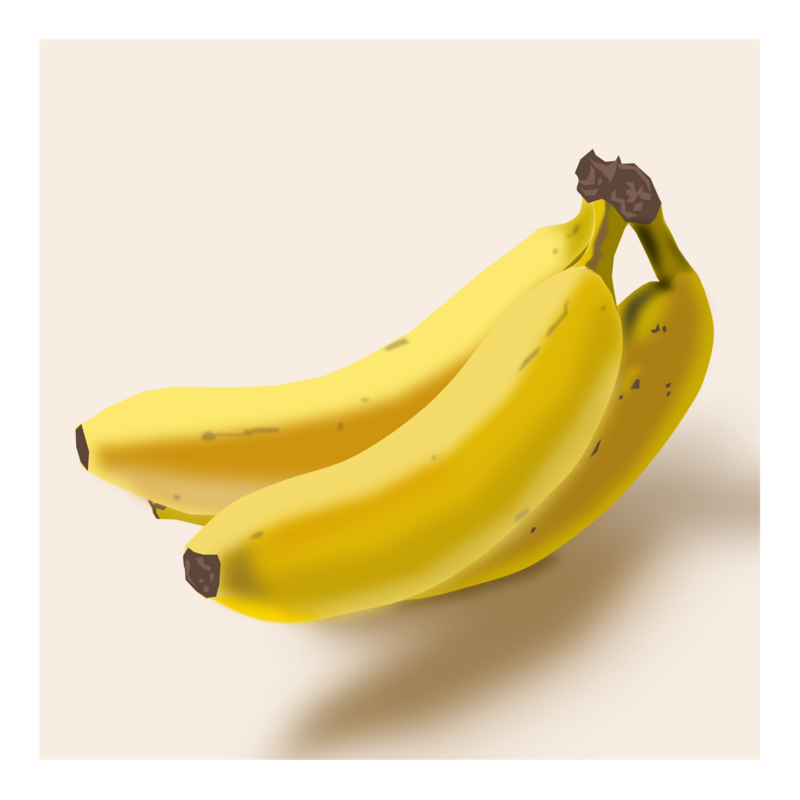 That is to say, all the colors of each banana have the same hue, and the shadows and highlights are made of different levels of value and/or saturation of that hue. next step: figuring out how to work with hue, value and saturation in paint to achieve the same outcome... also figuring out a more interesting subject than just "some nice bananas"